Shop signage for Melissa's Covent Garden store in London. We used reflective holographic material which changes colour depending on the angle it is seen from. A variety of patterns created for Melissa. Art Direction, Identity, Website and Packaging design for Kerry Seaton - a London based jeweller. Collateral design for Second Home - a creative workspace based in London and Lisbon. Identity Design for an art collaboration between the Marina Abramović Institute and NEON in Athens. Brand Identity, Packaging and Newsletter Design for Urban Orchard who produce chef quality homemade meals to order at home. Packaging Design for Carluccio's Winter seasonal products. 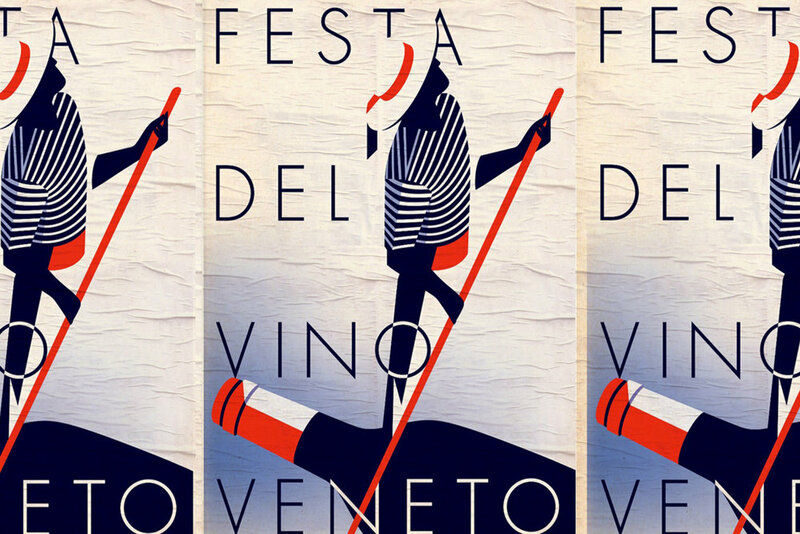 Art Direction and Typography for a poster illustrated by Malika Favre for Carluccio's Wine Festival. Art Direction and Design in collaboration with illustrator Malika Favre for Carluccio's Christmas range packaging. Signage and Brochure Design for seasonal Serpentine Galleries events and exhibitions. Brand Identity and Packaging Design for Italian pasta producers Rummo. Art Direction and Design for Carluccio's Easter campaign. Brand Identity and Packaging Design for Santa Agatha, Brazilian perfume makers. Art Direction and Design for Brazilian plastic shoe makers Melissa S/S 2016 and A/W 2017 campaigns.